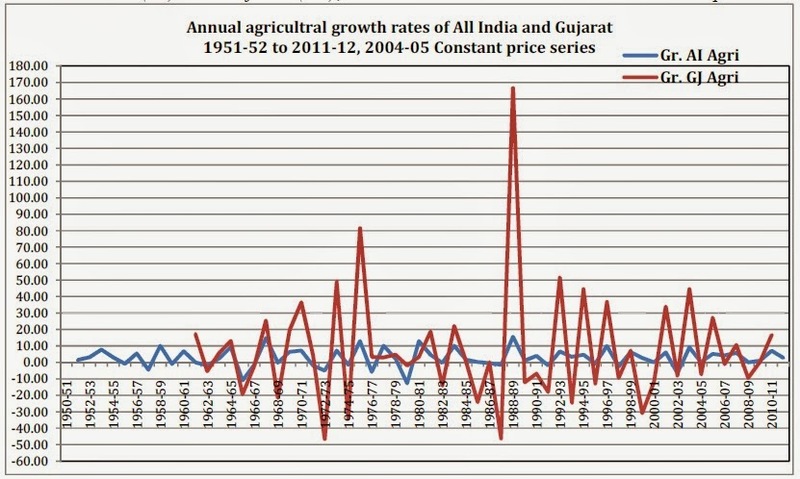 Amidst sharp controversy raging among top scholars on whether high agricultural growth rate of Gujarat agriculture is being cited by a section of economists by choosing one of the worst drought years as the base year (2000-01) (click HERE to read), a senior economist of the Indian Institute of Management-Ahmedabad, has said come up with a new explanation of the allegedly high growth rate. He has said that a higher price for agricultural product has been the main reason why Gujarat’s agriculture grew at a higher than 10 per cent per annum between 2001 and 2011. 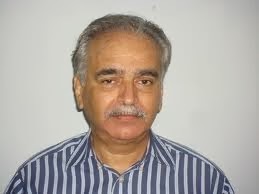 IIM-A’s Prof Ravindra Dholakia, who is one of those who has been criticized for choosing a bad drought year as the base, has in a recent paper, “Inter-sectoral Terms of Trade and Aggregate Supply Response in Gujarat and Indian Agriculture”, has said, “Inter-sectoral terms of trade” played a major factor ”in determining the growth performance of agriculture in Gujarat and all India”, whether it was the last decade or earlier. Prof Dholakia’s view that a high agricultural growth rate is more the result of better terms of trade than anything else comes amidst fresh data, made available by the Government of Gujarat’s agricultural department, which show that the state’s agricultural production fell sharply in 2012-13, a semi-drought year, anywhere between 16 per cent (cotton) and 72 per cent (groundnut) (click HERE to read more). Overall, the state agricultural production fell by about 20-30 per cent, these estimates go to suggest. Already, state officials are trying to suggest that in 2013-14 the state agriculture will rise by 20 per cent, which suggests it will be back to where it was in 2011-12, when, again, it grew very little.